Need a Co-Packer? Need Assistance with Product Development? Seldom does a week go by when I do not receive at least one call or email requesting information on co-packing--the process of having an established food company manufacture and package another company’s product--or a request for product development assistance. The former I am not equipped to do (I write, not manufacture), and with the latter, I don’t have the necessary resources at my disposal. However, it is with strong regard that I refer these inquiries to my online directory of experts in co-packing and product development. You can link to the directory HERE. Why beverage, ice cream and yogurt? It’s because millennial entrepreneurs are investing in these businesses. They are creating products they want to buy and need industry experts to help them fine tune formulations, as well as get assistance in regulatory, and finally manufacturing, packaging and distribution. Outsourcing production to a co-packer is increasingly common in the dairy foods sector. It allows inventors to get out of the kitchen and utilize the expertise of established dairy operators. Using a co-packer also allows the inventor more time to promote and distribute product. Co-packers are also often used by large and established national and international dairy marketers. For these companies, sometimes it makes economic sense to outsource, especially when producing highly perishable products such as dairy foods where distribution distance issues may arise with their own production facilities. Also, outsource manufacturing is seasonal for some marketers, when product demand is up and they are already running at capacity at their own facilities. Identifying the right co-packer and partner for development and production of dairy foods should be taken seriously. It is particularly critical for a start-up looking to get its dream product into the highly competitive dairy foods marketplace. There is no room for error when budgets are tight and you are introducing a new brand. You need a business partner that will be with you every step of the way. Never forget, however, that you are the brand owner and are fully responsible for the quality of your product. If there’s a product recall, it’s your brand on the line. This is why it is paramount that you ask the right questions and establish a positive relationship with your co-packer. Deciding on the type of co-packer to use is the first step. There are regional and local dairy manufacturing companies that offer their services to entrepreneurs and start-up companies that do not have the capital to invest in building their own plant. The majority of such dairies produce their own branded products in addition to co-packing for others. This allows them to more fully utilize their manufacturing capabilities by running longer production shifts and keeping employees busy. There are also contract manufacturers who only produce and pack product for others companies to sell. Depending on the volume and type of product, sometimes these facilities can be commissary-type operations. Even some universities are equipped for co-packing. Some co-packers provide R&D assistance, for everything from formulating to troubleshooting to quality control and assurance. There are also independent product development companies that handle all aspects of commercializing a new dairy food concept…from formulation to production to packing to distribution. Co-packers can help better predict costs and reduce investments, allowing the marketer to concentrate on selling product. Co-packers allow capital expenditure to be deferred and used elsewhere. Established co-packers have experience in manufacturing and packaging specific types of dairy foods. They can assist with scale-up, from bench-top to industrial manufacturing, in a timely manner. They have already been certified and have a HACCP plan in place. The co-packer becomes your business partner and it is critical that you have mutual trust. Good luck on your next innovation. Remember to use BerryOnDairy.com’s Co-Packers/Product Development Assistance tab (LINK HERE) to find the partner to bring your innovation to market. Clean label is no longer the hottest trend. It’s reality. It’s expected. 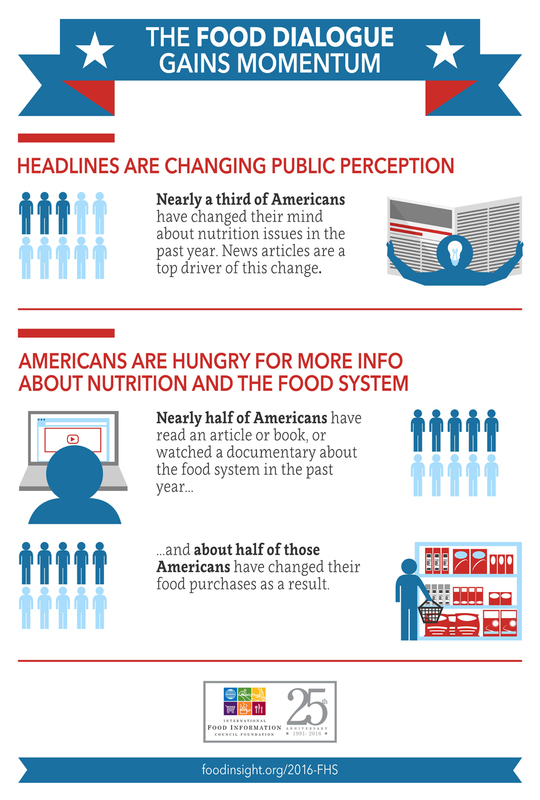 The hot-off-the-presses 2016 Food and Health Survey from the International Food Information Council (IFIC) Foundation, Washington D.C., shows that Americans want to know more about their food and are changing their behaviors based on what they learn. This year, almost half of all American (47%) said they look at the ingredients list when deciding what to purchase, up from 40% just a year ago. When Americans define what makes a food healthy, it’s becoming more about what is not in a food rather than what is in it. The presence of artificial ingredients and preservatives is a leading deal breaker when it comes to purchase intent. When given a list of attributes that describe a “healthy eating style,” 51% of consumers chose “the right mix of different foods,” followed by “limited or no artificial ingredients or preservatives” (41%). 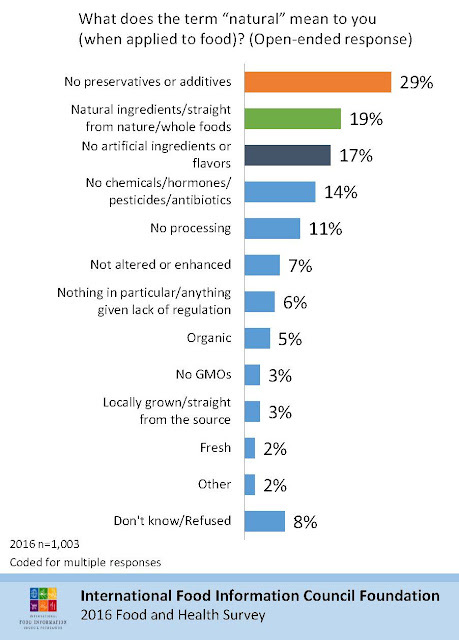 However, it should be noted that just 2% of consumers identified limited or no artificial ingredients or preservatives as a top consideration when not given a list. 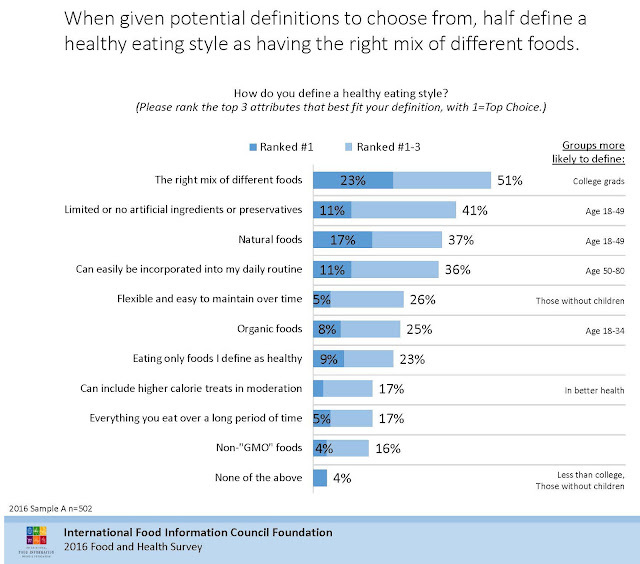 “Moderation/serving size and portions” topped the open-ended responses (26%) for healthy eating styles, followed by “includes certain foods I define as healthy” (25%). The definitions of healthy and natural foods are also being conflated. 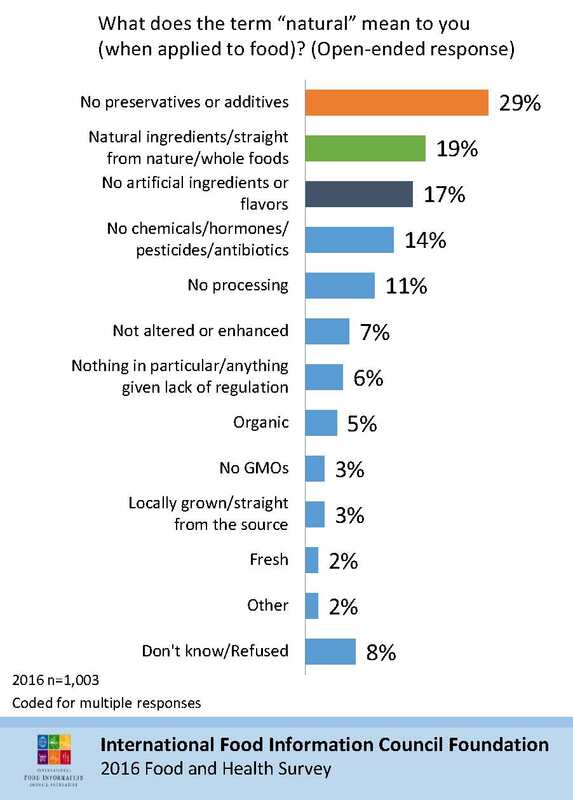 According to the survey, “natural” food is most often associated with having no preservatives or additives (29%), having ingredients that come straight from nature and whole foods (19%), or having no artificial ingredients or flavors (17%). DAIRY CAN BE ALL THIS AND MORE! If food is grown regionally or served at a local establishment, consumers are more likely to trust the safety of that food. More than 70% of consumers trust the safety of food produced in their region of the country, while just 24% trust the safety of food from another country. DAIRY, FLUID MILK IN PARTICULAR, IS A LOCAL FOOD. Cultured dairy products can also highlight the source of their milk and other ingredients. Interestingly, a majority of Americans believe that modern agriculture produces nutritious foods (56%), safe foods (53%) and high-quality foods (51%). LET’S TALK THIS UP ON PRODUCT LABELS AND WEBSITES. 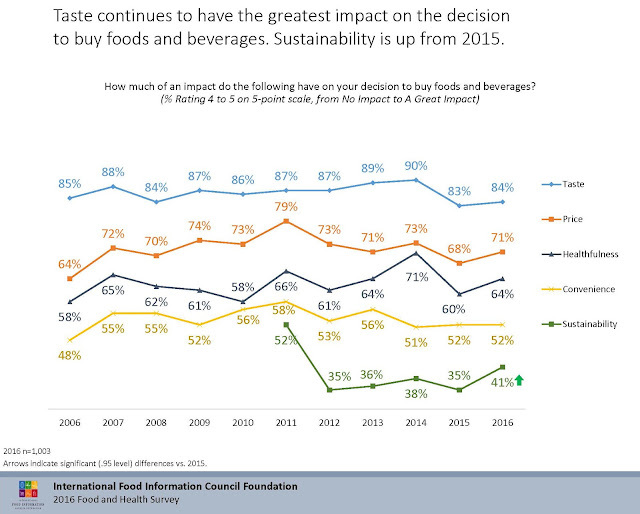 Seventy-three percent think it’s important that food products be produced in a sustainable way. Of those 73%, the most important aspects of sustainability cited were conserving the natural habitat (44%), reducing the amount of pesticides used to produce food (43%) and ensuring an affordable food supply (37%). However, just 38% of all Americans are willing to pay more for food that is produced sustainably. With all that data, taste still reigns. 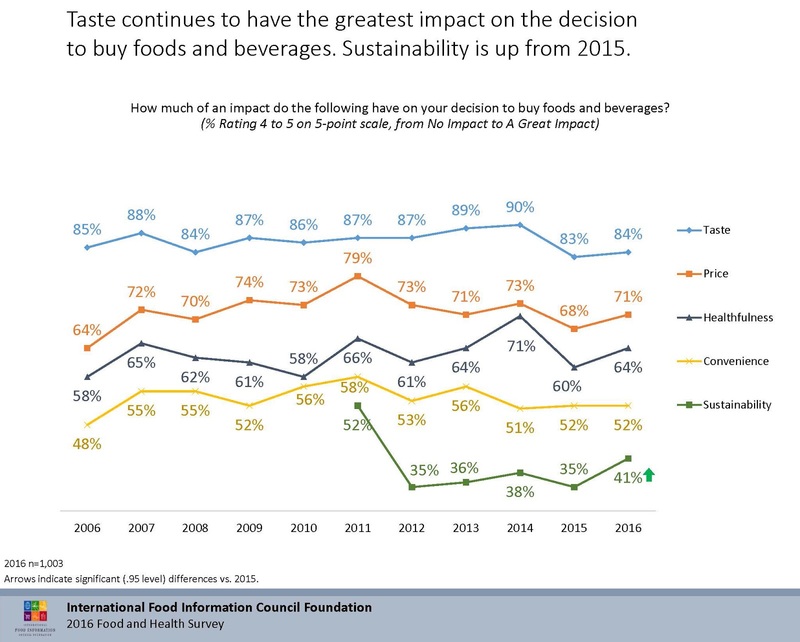 Year-after-year, the IFIC survey continues to show that taste trumps price, healthfulness, convenience and sustainability. DAIRY IS DELICIOUS AND WE NEED TO BETTER COMMUNICATE FLAVOR TO CONSUMERS. Look how Promised Land calls out flavor before protein and calcium in the bottom right corner. Indeed, flavor is what the culinary professionals are promoting at the upcoming National Restaurant Association Restaurant, Hotel-Motel Show kicking off tomorrow in Chicago. This annual trade show servicing the global restaurant, foodservice and hospitality industry will run May 21 to 24 at McCormick Place. Clean label, local ingredients and simple recipes are a given. Millennials have had a major hand in influencing changes at restaurants in the past 16 years, and operators can study the group to figure out how to feed their demand for healthy fare, writes Healthy Dining President Anita Jones-Mueller. Flavor is key, and health-conscious millennials are increasingly seeking more fruits and vegetables, whole foods and sustainable options. Jones-Mueller writes that millennials popularized “eating clean” and made feel good food terms such as “natural,” “whole,” and “organic” mainstream and a must-have for menus. She also confirms: taste dominates. Whether it’s the segment of millennials that is focusing more on taste and cost or the segments focusing more heavily on health and nutrition, the flavor of food matters. This generation has high expectations for taste and isn’t afraid to let restaurants, friends, peers and followers know whether or not those expectations have been met. To read the article she wrote on how millennials are redefining healthy, link HERE. Are you marketing your clean-label cultured dairy foods as a better-for-you choice to food formulators, culinary professionals and home cooks? You should be! 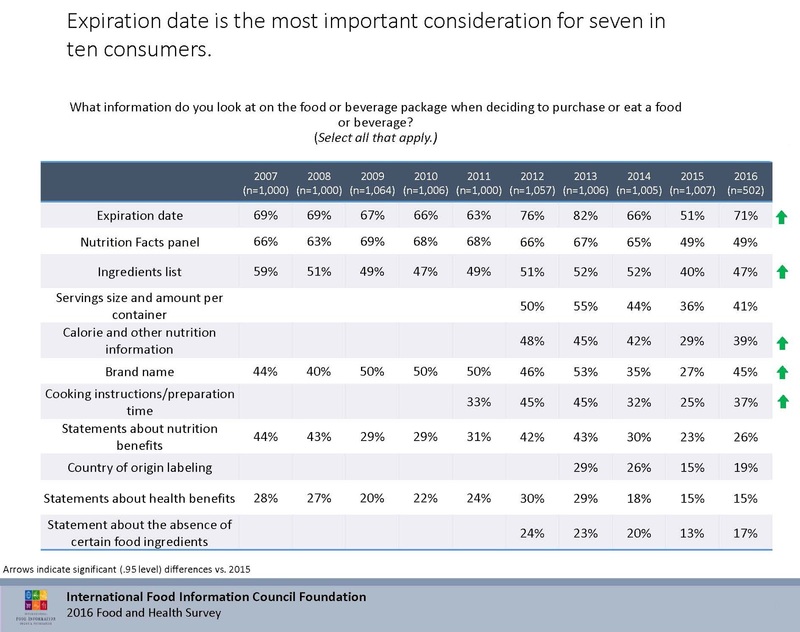 Consumers want to see shorter, easy-to-understand ingredient lists before purchasing foods and beverages. Dairy ingredients can serve as a substitute for many unwanted ingredients in a variety of food applications to achieve a more natural product. The Dairy Council of California (DCC) recently released its Spring 2016 Top-10 Nutrition Trends report. Dairy Council’s trends tracking system identifies food and nutrition issues likely to impact the dairy industry in the next one to three years. The DCC staff identifies the trends and then compiles the information in a newsletter twice a year to distribute to industry leaders for their own communication and planning purposes. Listed below are the five that I believe to be the most relevant and actionable by dairy processors and marketers. To access the complete report, link HERE. 1. Dairy’s positive contributions to nutrient intakes and health are often ignored. Consumption of milk and dairy foods continues to be linked to better nutrient intakes and health outcomes (prevention of heart disease, metabolic syndrome and diabetes and better weight management). A growing body of research also supports dairy fat as potentially providing health benefits, offering an opportunity to promote whole milk and cheese. However, public health advocates and other health professionals do not consistently endorse dairy foods. While the 2015–2020 Dietary Guidelines for Americans (DGAs) advise two or three daily servings of dairy in eating patterns, consumers sometimes reach for milk substitutes such as almond, rice and soy products. Research shows that consumers believe in the goodness of milk…but this belief doesn’t always translate into practice. The industry can intensify efforts to develop innovative milk and dairy products that are tasty, convenient, affordable and nutritious to compete with alternative beverages. In addition, industry investment in research on the nutrient profile of milk and dairy foods to reinforce messaging will be important. 2. Plant-based eating patterns are on the rise due to many factors. Until recently, plant-based eating patterns were advocated primarily for their health benefits and chronic disease-fighting attributes. Now, the popularity of these patterns is growing due to economics, animal welfare concerns and sustainability needs. Many public health groups promote diets based on plant foods; for example, the focus of the dietary patterns endorsed by the new DGAs is more heavily plant-based. Efforts are being made at many levels and in many organizations to adopt these eating patterns. Campaigns such as Meatless Mondays are frequently offered in hospitals and schools, and documentaries on the righteousness of this approach abound. Milk and dairy foods may or may not be included in these plant-based patterns. The DCC has multiple efforts highlighting how milk and dairy foods can and should be incorporated into plant-based diets for their unique package of nutrients, affordability and convenience. Dairy foods can be marketed as natural and minimally processed, to fit into the plant-based movement. Health professionals and consumers will need reminders that “plant-based” does not mean “plant-only,” and indeed, for long-term health and well-being, meat and dairy foods can be consumed. 3. The quest for protein intensifies; plant proteins are in the limelight. Protein continues to be the “nutrient of the decade” as its list of health benefits grows beyond muscle-building to include satiety and weight-management benefits, blood-glucose control, bone health and healthy aging. Consumers are seeking protein sources at every meal and snack, but alongside the move toward plant-based diets, plant-derived protein sources are increasingly popular. Meat, eggs and dairy—traditionally excellent sources of protein—are often overlooked for new and innovative proteins such as hemp, pea, quinoa, tempeh, spirulina and even insect. There is little talk or awareness about protein quality, of which animal sources are unparalleled. Consumers and health professionals need to be reminded that dairy foods are superior sources of protein. This can be accomplished through product labeling and marketing messages. The DCC has numerous materials on protein benefits and good sources and also communicates the research-supported importance of distributing protein evenly throughout the day. Most people need more protein at breakfast and lunch. 4. 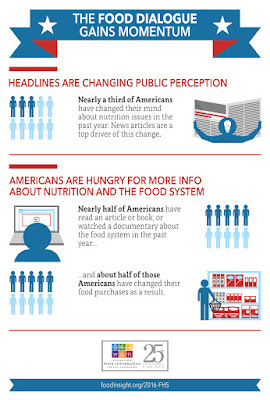 Food choices are increasingly based on consumer values beyond nutrition. Personal values about food as it relates to a higher cause—such as animal welfare, feeding the world and environmental concerns—are increasingly driving food choices. 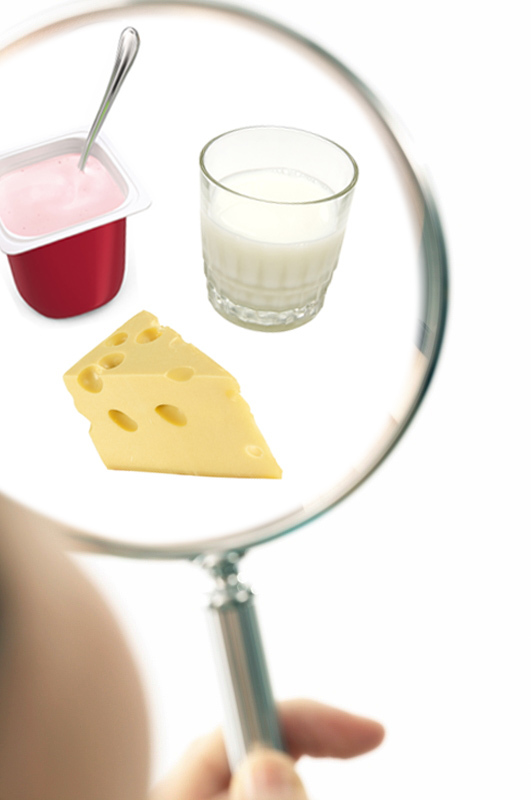 Many consumers believe that what they eat is a reflection of who they are. For example, someone may choose to eat only cage-free eggs, organic milk and grass-fed beef due to concerns about how animals are treated on the farm. Nutrition, cost and even taste may be less important factors. This will greatly impact the food industry, which will need to demonstrate to consumers that their concerns and values about animal welfare, sustainability and global needs are shared. Transparency and communication will be critical to maintain the trust of often skeptical consumers. 5. Sustainability approaches broaden to encompass waste, packaging. Efforts to improve the sustainability of food-production practices, which originally focused on reducing greenhouse gas emissions, have expanded to include factors such as reducing waste, minimizing water usage and using packaging materials that are recyclable or biodegradable. Consumers are increasingly concerned about the environment and receptive to ways they can make a difference individually. Often they will avoid foods that are packaged in non-recyclable materials. Buying local is another popular tactic to help the environment. There is a strong opportunity to improve sustainability by reducing waste, given that about 40% of food from farm to fork is discarded. Considerable consumer confusion over “use by,” “sell by” and “best by” dates results in large amounts of nutritious and wholesome food being discarded. A small but growing effort is underway to standardize these dates nationwide to help minimize food wasted at retail outlets and in the home. The DCC educates on how the dairy industry has made great strides toward decreasing the environmental impact of producing milk and dairy products. In addition, it continues to message that the lifelong health and well-being of individuals is part of the whole sustainability equation. Efforts to educate about minimizing waste are being examined as well. This week I was honored to speak at the Midwest Dairy Association’s Chicago-stop for its Tomorrow’s Dairy Consumer summit. After addressing a room of dairy industry leaders on the topic of Marketing to Millennials, I was asked a number of questions. Some made me giggle, because if I had the answer to them, none of us would need to be sitting in that room. The reality is that industry analysts and consultants are taking their best educated guess as to why consumers say and do the things they do. Again, if we had firm answers, the dialogue would not need to take place. The knowledge would simply be implemented. Survey responses, scanner data and social media analysis is just that. It provides direction and helps predict what might work in the future, but the numbers are about what already transpired. One of the questions asked at the summit was why millennials—this demographic that’s all into minimally processed foods sourced locally--are purchasing nondairy milks, e.g., almond, cashew, flax, hemp, soy, when they know these are processed and packaged, often quite a distance away. I responded that I have no idea. However, after pondering the question for a few days, the answer is very obvious. They are curious. Unlike the generations preceding millennials who tend to be creatures of habit, millennials are all about exploration. They crave excitement and desire the unknown. Data presented at the summit showed that millennial like milk. They buy milk. But they want something to shake up their day, so they try something new. If it passes the taste test, it’s added to their approved food list, which continues to grow, and as a result, items on that list are purchased less frequently. Here’s an analogy for creatures of habit, who really are not as set in their ways as they think. Lite beer…you like it. You drink it. You know it has fewer calories than other beers. It’s your go-to on a hot summer day and usually there’s a bottle or can in the fridge. But you are curious about the hundreds of craft beers out there. You try a local IPA. You like it. You now buy it occasionally. Another craft brewer rolls out a limited-batch cider. You try it, like it, and buy a six pack every time you go shopping because you know it will sell out soon. Less of your beer budget goes to Lite, even though it’s still a favorite. This is what has happened to fluid white milk. This is why it’s paramount for milk marketers to think like craft brewers. It’s to keep millennials (and even us older consumers) engaged. It works in ice cream. There’s probably a multi-serve vanilla package in your freezer right now, which cost about $4.00. There’s also a pint of Jeni’s most recent limited-edition innovation, which cost $9.99. And think about cheese…your go-to is cheddar and mozzarella, but after swinging by the specialty cheese case, you find some truffle Gouda in your cart. Next week you want to try the Tuscan fontina. 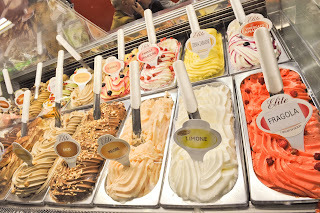 For some ideas on artisan and value-added flavored milk, link HERE. Need additional milk innovation? Plan to attend the International Dairy Foods Association Milk and Cultured Dairy Products Conference May 24 to 25 in Indianapolis. For more information, link HERE. 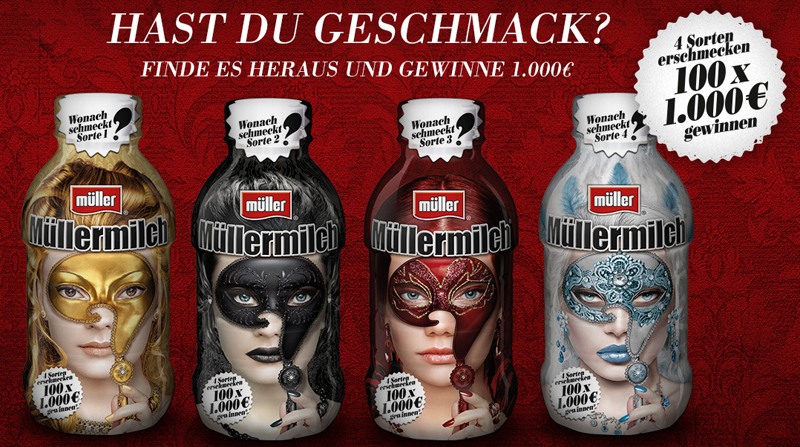 Germany’s Müller Milch is one of the most progressive players in the limited-edition flavored milk sector. Some of the company’s most recent innovations come under its Müller Milch Select brand, which now offers indulgent milk flavors such as White Chocolate Raspberry and White Chocolate Coconut Almond. 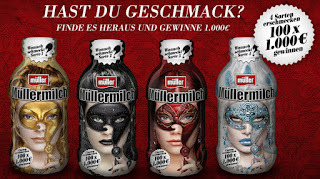 Müller Milch is also rolling out two seasonal milk flavors. Coco Chocolate is a blend of chocolate flavor with a touch of coconut, and White Chocolate Pistachio. This is definitely one of the most engaging flavored milk campaigns. Talk about creating an urgency to purchase. For a few short weeks in March, the company offered four unnamed flavored milks, with each bottle donning a masked woman. Consumers were encouraged to purchase all four and guess the flavor on the company’s website. Correct responses were then entered into a sweepstakes. The four flavors were: gold masked bottle=popcorn, black masked bottle=orange, red masked bottled=salty caramel and silver masked bottle=vanilla. 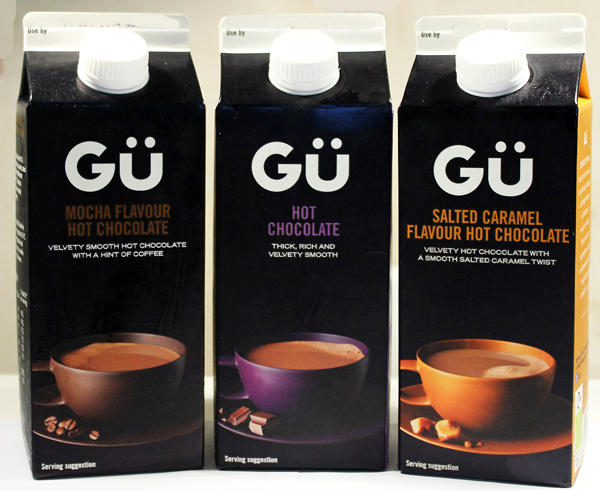 This past winter in the U.K., Crediton Dairy introduced “velvety smooth and luxuriously rich” ready-to-heat-and-drink Gü Hot Chocolate. 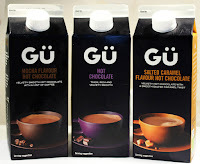 The indulgent, full-fat milk came in three flavors: Hot Chocolate, Mocha Flavor Hot Chocolate and Salted Caramel Hot Chocolate. Packed in a multi-serve 750-milliliter carton, a cupful is easily warmed in the microwave. The dairy also market’s the U.K.’s number-one branded milk: Moo. Sold in 1-liter multi-serve cartons, 1% milkfat Moo comes in four flavors: Banana, Chocolate, Chocolate Fudge Cake and Strawberry. In response to consumer demand, the milks are now rolling out in 330-milliliter single-serve bottles. 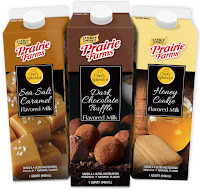 In the U.S., Prairie Farms continues to find success with its seasonal milk offerings. 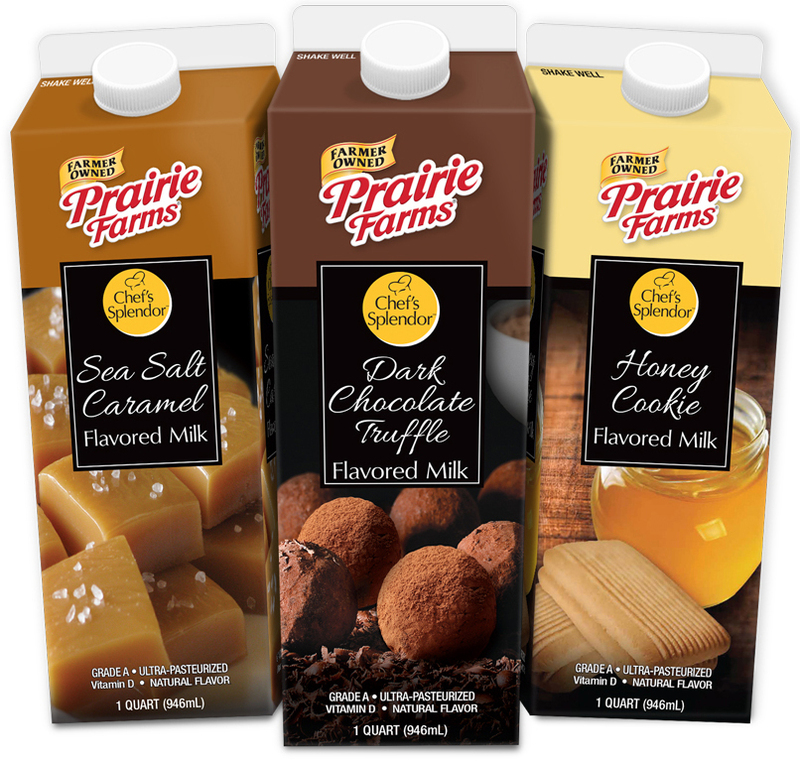 Just in time for summer sipping, the company adds Honey Cookie Milk to its warm-weather trio of flavors. Sold under the Chef’s Splendor brand, Honey Cookie Milk joins two other culinary-inspired flavors: Dark Chocolate Truffle and Sea Salt Caramel. All three Chef’s Splendor flavors are blended with 100% real milk and have the perfect balance of sweetness, according to the company. Honey Cookie is a delicate combination of honey flavor and sugar. Dark Chocolate Truffle is an intensely indulgent combination of real cocoa flavor with a hint of vanilla. Sea Salt Caramel combines buttery caramel flavor with a touch of sea salt. 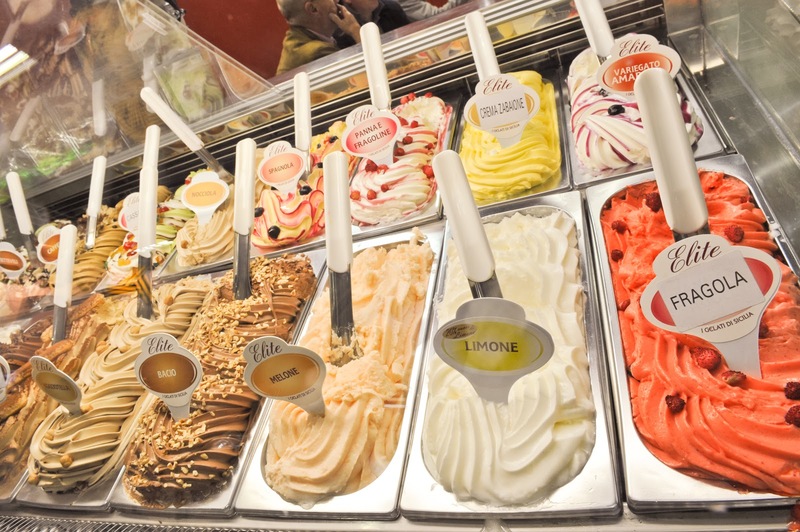 All flavors in the lineup are made with premium ingredients and natural flavors. The Gorham Grind, an independent community coffeehouse located in the heart of downtown Gorham Village in Maine, has teamed up with a local dairy to offer Rocket Fuel. It’s a coffee milk that’s been kicked up a notch. It’s made with a proprietary espresso syrup using double-brewed dark coffee. This gets combined with caramelized sugar and a blend of local whole milk, nonfat milk and half & half. 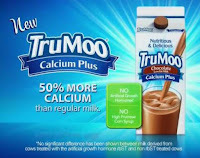 Earlier this year, Dean Foods added TruMoo Calcium Plus low-fat chocolate milk to its line of flavored milks. 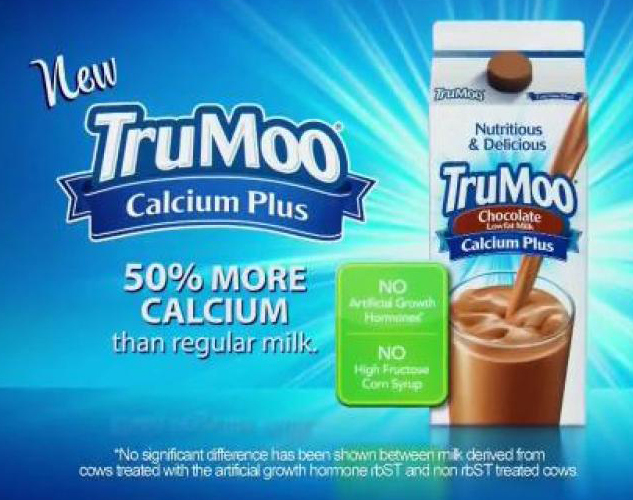 It contains 50% more calcium per serving than regular low-fat white milk. 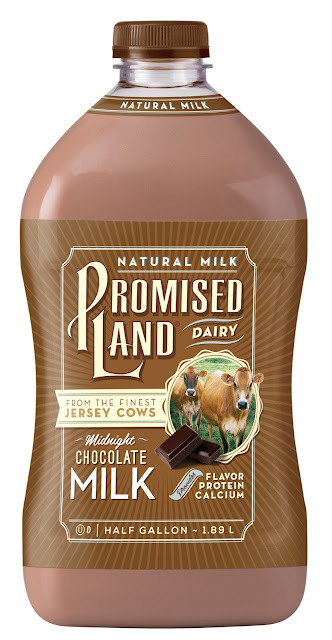 Also in the States, Promised Land Dairy Kicked off 2016 with updated packaging that communicates the artisan, crafted nature of its flavored milk. Made using Jersey cow milk, which clearly stated on package labels, the new bottles showcase an array of beautifully colored labels that instantly communicate the brand’s indulgent core and seasonal flavor offerings. New typefaces, color palates and the more modern, art deco design of the bottles reflects the evolution of the Promised Land brand’s overall look and feel, while still evoking nostalgia consumers have come to instantly recognize. The new bottles are more ergonomically correct and address the consumer’s previous challenges with spillage. 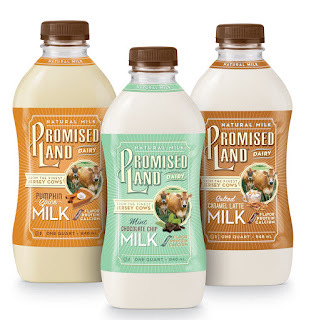 With the refreshed packaging, Promised Land stays true to its heritage in glass bottles by using recyclable PET so consumers can continue to see the quality milk inside. 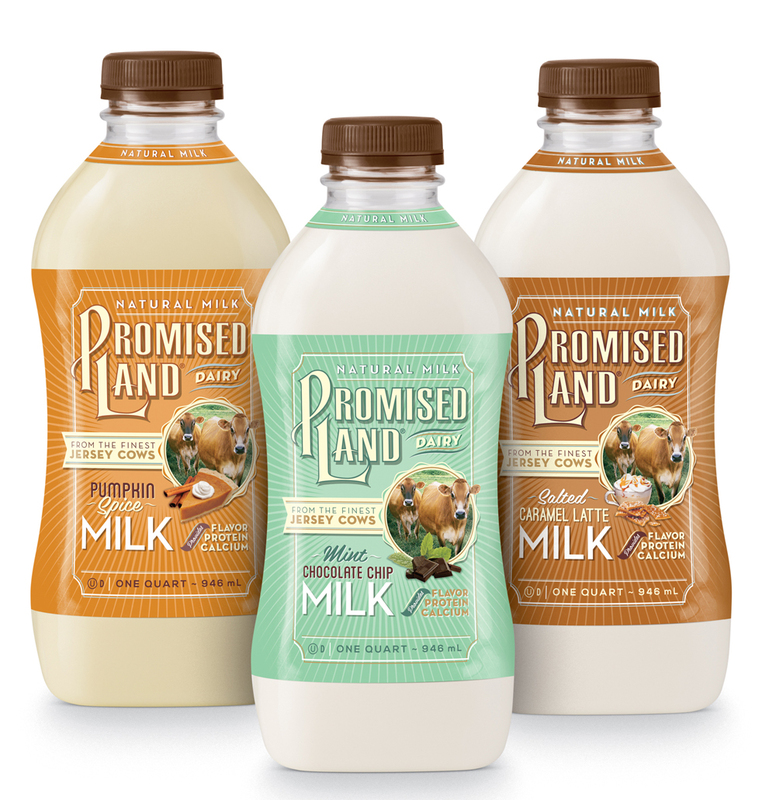 Promised Land added three new seasonal flavored milks to its portfolio in 2015, including Salted Caramel Latte, Mint Chocolate Chip and Pumpkin Spice. Its core flavored milks include Midnight Chocolate and Very Berry Strawberry. Lastly, one of the more interesting flavored milk concepts to roll out in 2016 comes from WhiteWave Foods. New Sir Bananas is a half-gallon gable-top carton line of reduced-fat milk blended with real bananas. The ultra-pasteurized milk contains 20% bananas and comes in two varieties: Bananamilk and Chocolate Bananamilk. Sir Bananas is sweetened by banana puree and cane sugar, with natural vanilla rounding out the flavor profile. After extensive analysis of the yogurt and fermented dairy segments, I’ve identified five megatrends driving innovation in the category. This blog explains these trends and provides global examples of products supporting them. Want to learn more? Plan to attend the International Dairy Foods Association Milk and Cultured Dairy Products Conference May 24 to 25 in Indianapolis. I will delve into each of these trends and provide additional global examples during my presentation on May 24th at 1:30 entitled “Developing Products Consumers Want to Buy.” For more information, link HERE. According to Mintel’s annual review of the yogurt category, the segment continues to boom and shows no signs of slowing. Yogurt volume retail sales across major global markets reached 16.3 million tons in 2015, an increase of 4% over 2014. This is being driven by increased per capita consumption in China and the U.S.; European yogurt consumption is mostly stagnant. But don’t forget, many Europeans consume about three times the amount of yogurt than an American. In most established markets, yogurt brands are reinforcing their natural credentials by going back to the basics. This includes focusing on plain, unsweetened offerings, as well as low-fat and whole milk formulations (versus the previously popular fat free). Mintel reports that share of new unflavored spoonable yogurt grew 2.5 percentage points, compared to 2014, to reach 18% of the global launches. These products are in response to the “sugar backlash” that’s impacting all sweetened food segments. One of the best examples comes from all-natural Cascade Fresh yogurt. This Pacific Northwest brand was ahead of its time when it originated some 30 years. In 2014, the founding family retired the brand, only for new owners to scoop it up, knowing that the product is exactly what today’s evolving yogurt consumer wants. Sweetened only with fruit juice, made with low-fat milk and loaded with probiotic cultures, Cascade Fresh is back! 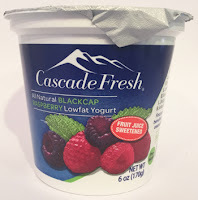 “As the new makers of Cascade Fresh, we plan to continue the same healthy recipe, same smooth texture, same delicious taste with new flavors and variations on the horizon,” according to Kris and Curt Fuehr, the new owners of the brand doing business as Wholesome Yogurt, Bellevue, WA. The product line is making its comeback in six flavors. They are: Blackcap Raspberry, Blueberry, Cherry Vanilla, Lemon Chiffon, Peach and Strawberry. “Of course, there are no GMOs, rBGH, and our milk comes from family farm-raised, happy cows,” according to the Fuehrs. That’s right. Focus on the fermentation. 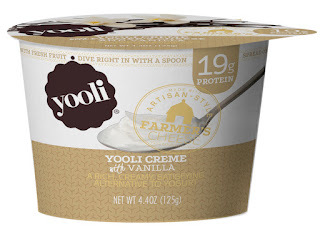 Yogurt and other cultured dairy products complement consumers’ desire for minimal processing. Fermentation is not only minimal and straightforward, it’s an ancient preservation technique. Today’s consumers find this intriguing and attractive. 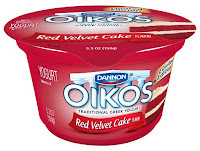 The popularity of Greek yogurt continues to grow around the world, but to date, there’s been no other ethnic yogurt concept that has come even close to making a sizeable impact on the category. The focus on fermentation may be the next Greek yogurt. With consumers’ growing interest in fermented foods comes a curiosity for ancient recipes. That’s what you get with kefir, in both spoonable and drinkable formats. Numerous trend trackers, not just me, agree that we are in the midst of a culture craze, with fermented foods and probiotics growing like the good bacteria that they are! Dairy processors need to up their game and not let the kimchi and kombucha companies steal the spotlight. Use the package and marketing materials to talk about the fermentation process and the craftsmanship behind the product. This is likely what will make drinkable fermented dairy products more competitive in the beverage category. Kefir is a great example. In Germany, Müller Dairy now offers single-serve (500 gram) bottles of drinkable kefir. The company uses the same traditional recipe followed for its cup kefir line to make the drinkable product, with a focus on the fermentation and kefir’s Eastern European ethnic heritage. 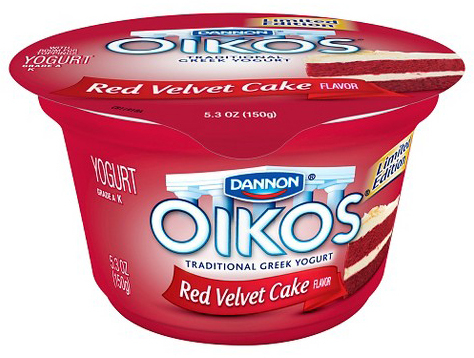 Even the graphics relay this, much like many Greek yogurts use visuals to suggest Greece. Show consumers what they are getting! At the Research Chef’s Association meeting back in March in Denver, an executive from Campbell’s Soup made a profound statement that I continue to repeat. It’s in regards to Millennials and the generation that follows. The GenZers, who were born after December 2000 and are the true 21st century consumer. What he said was, “put it in a mason jar and write a description in a sharpie marker, and they will buy it, and at a premium!” It’s so true. Today’s consumers want to see what they are buying. Transparency is paramount. Glass jars have long been used for yogurt and other cultured dairy products throughout Europe. Today, their use is growing and catching on in other countries. Glassed dairy foods make the consumer think old-fashioned milk man. In the U.K., Brown Cow Organics hand produces its non-homogenized yogurts on a family-run farm. The yogurts are made from milk produced by Guernsey cows that have been raised in a “relaxed, happy lifestyle” and on a healthy diet, grazing only on organic grass. The milk contains A2 beta casein protein, which is associated with improved digestibility. They use glass to convey the simplicity and the purity. Get it now. It won’t be available for long. That’s what you communicate with limited-edition and seasonal flavors. These products keep shoppers interested in exploring the yogurt and cultured dairy products category. Instead of reaching for their favorite brand and flavor—we are creatures of habit—knowing that a new concept might only be around for a few months peaks their curiosity. Now, as much as I love holiday celebrations, associating a product with a specific calendar date means the day after, any product remaining on shelf will be making its way to the discount bin. So instead of Rudolph’s Cherry Red Nose yogurt, maybe try Ski Slope Cherry Cheeks. 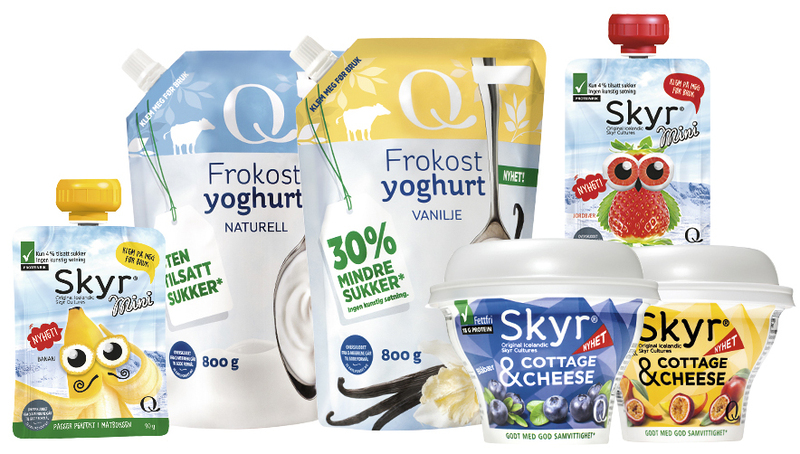 Norway’s Q-Meieriene agrees that its’ time for cottage cheese’s comeback. This company says is blending its popular skyr with cottage cheese to offer a unique high-protein snack in three varieties: Blueberry, Mango & Passionfruit and Vanilla. The fat-free, no-sugar-added product delivers 18 grams of protein in every 175-gram container. To all the mom’s out there, Happy Mother’s Day weekend!